Governor Doug Ducey announced his budget for Fiscal Year 2019 and it is with great appreciation to review his recommendations for additional funding provided in support of public safety. 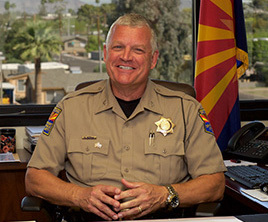 The Governor’s budget provides funding to combat the opioid crisis, expand DPS Night Watch operations to respond to wrong way drivers, and increase patrol coverage in Southern Arizona. Wrong-way drivers are a nationwide problem, and happen all too often in Arizona. During 2017, there were over 1,700 wrong-way drivers reported in Arizona. 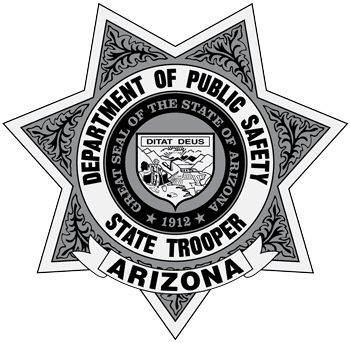 The Governor’s budget recommends $1.4 million to expand DPS Night Watch operations in the Phoenix area to 50 troopers. Additional troopers will increase coverage to more quickly respond to reports of wrong-way drivers, or other dangerous driving reports, within the Phoenix area. On 4/10/2019 at approximately 7:30am Hsiu Yin Wu was last seen in the area of North 44th Street and East Hubbell Street in Phoenix. Mrs.
Mr. Walker was last seen on 04/05/19 at his residence located at the 16000 Block of N. Navajo Drive in Dolan Springs, AZ around 10:30 PM wearing Grey sweat pants and a black coat. The reporting party advised Mr. Walker told him he was going to the store and would be back. Mr.
84 year old Max Schrader has been missing from his home in Mobile, Arizona since April 03, 2019. Max is deaf, but has no other medical conditions. He was last seen driving his 2002, white, Mazda Familia bearing License Plate AZ/WCGKX47 in Mobile, Arizona. At approximately 2:00 PM, Felice Parham had been dropped off at a Food City located at 1005 N.